Along the Icefield Parkway in Alberta, Canada, I came across a Glacier known as the Athabasca Glacier. I stopped and took a little walk up to the Glacier hoping to have a chance at walking on it. I am preparing a video on my little excursion today and hope to have it up for you all soon. 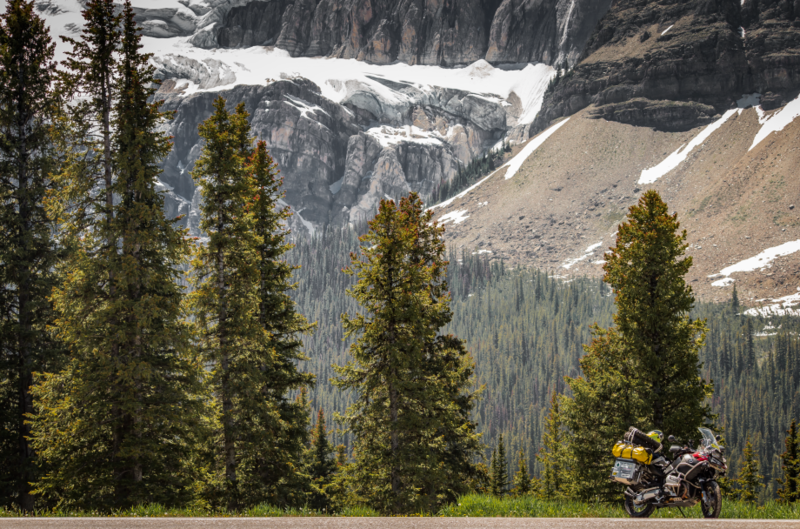 I have met some really fantastic people today along the Icefield Parkway. If you were one of them, thanks for spending some time with me. This is what traveling by motorbike is all about.